ICD is holding an evening event in Shanghai on July 9th to share new solutions with security end users. ICD will be holding an event on July 9th in Shanghai for security end users to experience some of the industry's latest access control and IP surveillance management solutions. The event will include hands on product demonstrations of some of the latest security technology from wireless lock solutions provider Simonsvoss and Genetec, the world's number one provider of VMS systems. We are holding the event at Manigua, a stylish Latin American restaurant with a relaxed atmosphere that serves delicious tapas-style dishes and a formidable mojito. 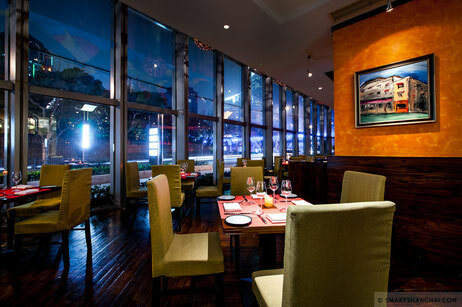 Manigua is located in the heart of Shanghai's French Concession. This event is invitation only. If you are a security systems end-user who is interested learning more about new security technologies and catching up with other security professionals over a cocktail or two, please get in touch with James Cowan at james.cowan@icdsecurity.com to confirm your name on the guest list. The event begins 5.30 pm Delicious Latin American dishes and free flow beverages shall be served until 9 pm.. The event will be at Manigua, a stylish new Latin American restaurant in the heart of Shanghai's French Concession.